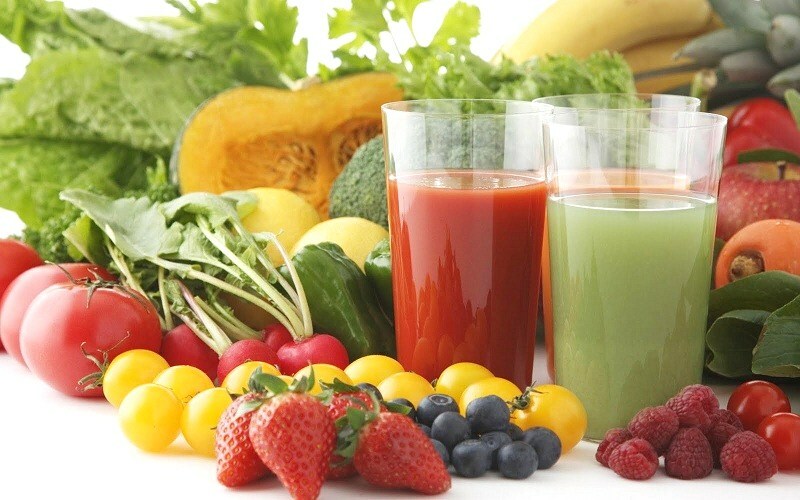 Juice Therapy | Become Healthy or Extinct! + is used where the fruits / vegetables have to be added together. You can blend equal proportions most of the time, but lean towards proportions that suit your taste and also be cautious about the quantity of spices like garlic / ginger / radish. To dilute a blend use cucumber or drinking water. / is used where the fruit / vegetable / herb etc. is an alternate. For a complete understanding of the ‘Science of Blending’, please read the chapter ‘Blending’ from the book ‘Become Healthy or Extinct!’ on the homepage of this website. Gosh! I looked at your pictures on reverse age… wow! you surely look like a 20 year old lad! gotta try this therapy. How much a week must I take? Hi Alfred! What I’ve put up here on this website, is in support of my book ‘The Natural Health Therapy’ which teaches a complete system of Health and Nutrition. The book is a free download on the Home Page. If you read the book completely, you will get all your answers. Reverse aging is a natural outcome of following the principles in the book. Thank you for your interest. Cheers! to you having some nutritious and cleansing juices! This is interestingly just the thing I’ve been searching for! Wonderful and thanks very much! Glad to know that Genevive. Thank You very much. Very great article. I will pin this page up so i can read every day which will motivate me towards healthy living. Just wonderful articles! Thank you Pra! Do read the chapter ‘Juicing’ as well from my book ‘Become Healthy or Extinct’ that is on the homepage. It gives the complete understanding about juicing. Cheers! You have given very useful information and suggested pineapple and pomogranite juice for heart care. Can a diabetic consume these juices? Yes Kumar, a diabetic can consume these fruits in moderate amounts, but first they need to understand which other foods are more responsible for diabetes and cut down their consumption. Please read my book on the homepage of this website completely to know about these foods. Secondly a diabetic should use Acupressure to rejuvenate the pancreas to a good extent and only then start on sweet fruits. You will learn how to do this in my health workshop. Oh, So informative and helpful! Thanks for these formulas… If I may ask, what’s the best juice formula for kidney ailment? Thanks! You’re welcome Rebecca! There are 2 formulas on this page, out of which I prefer (Celery + Carrot + Parsley + Asparagus) Juice. For 4 natural Kidney Cleanse options, please read page 128 onwards of my free e-book ‘Become Healthy or Extinct’ on the homepage of this website. Thanks for the reply! I really appreciate it.. Ok I’ll do the formula and read page 128… thanks and more power! You’re most welcome Rebecca! All the best! Dear Darryl, I read your book and also went through your website. Thanks for such a nice compilation. I still wonder about the role of fasting in maintaining health. Can you please elaborate? Thank you Nirav. Please read page 213 of the latest edition of my book on my website and you will get my recommendation on fasting. It is to be done more often for people who overeat and less often for people who listen to their body and eat only how much it asks for. Thank you so much for what I learnt after using avocado, beetroot and other greens. It was when my doctor got surprised about my high cholesterol, which I myself didnt know that I have, then I used this therapy and in a short period I recoverd and started feeling better, my weight is reducing. Thank you. I would also like to have more about weight control. I now weigh 100kgs, before it was 110 kgs. Be Blessed. You’re most welcome Jean! Do download and read my book that is on the homepage of this website. It will guide you on how to loose weight, even without exercising. Cheers! Hello, Is it safe to combine fruits and vegetables when juicing since they have different PH levels and different methods of digestion? Yes Victor, they do have different pH levels, but when blended the pH evel gets homogenized. Both go through the same digestive processes in the stomach, duodenum and intestines and receive treatment as per their nature in these sections. Hi, Is it safe to take celery and pomegranate juice? I have high cholesterol, high blood pressure and type 2 diabetes. Yes Alok, you can have 1 glass of (Celery + Pomegranate) Juice every alternate day for about 10 days, then take a break of 3 days and repeat the same once again. Drink the juice very slowly enjoying it thoroughly. If I juice my fruits, and I am a diabetic, will it raise my blood sugar more by juicing it, or is it better to eat my fruits whole? Hello Gilda, If you follow the process I’ve explained in the ‘Juicing’ chapter of my book that’s on the homepage of this website, your blood sugar will not rise. Please read that chapter completely. Thanks! I’m 350 pounds. I was wondering how much juicy do I need to drink of the (beet green, parsley & celery) before I see a change. And what is it with those combination that help you lose weight? Hi Charles, Try 400 ml of this juice mix once a day for 7 days, on an empty stomach and see how it helps. Do not eat anything for 1 hour after this. This juice is alkaline as well as detoxifying in nature. When toxicity in the body comes down, the body releases excess water that it was retaining at the cellular level to dilute the toxicity. But most of all, you need to stop eating foods that make the body gain weight. Please read my book on the home page of this website to understand what these foods are. Also read page 254 to first understand the reason your body is adding the weight, and start working on the right aspect for weight loss. All the Best! Great!! I can read this article over and over again. Nature has solutions to our health problems. This reveals how great God is. A million thanks for this! Dear Emmanuel, You can download my book on the homepage of this website and the Juice Therapy list is in the book on page 79. I have added you to my CMSE E-Mag subscription list. Cheers! I have high blood pressure and have been drinking beet carrot apple juice for about 2 weeks now. Is there such an amount as too much to drink in one day? Have one 300ml glass of this juice 1st thing in the morning (drink slowly), for 3 days in a row. Then take a break for 3 days by having some other juice beneficial for you. Then come back to this one. The best is to alternate with 3 juices. You can take Beetroot + Radish Juice. Do the Liver Cleanse given in the ‘Cleanse Therapy’ chapter in the book on the homepage of this website. Thanks For this useful Information Im going to share with My friends!! Thank you so much for compiling all your knowledge in the book and giving it for free! God bless you. My 12yr old daughter suffers from swollen terbinates. Shiz has a runny nose all year and her weight is low. What should I juice for her to cure her condition? Whenever she has an infection I always give her lemon water and it subsides but the terbinates never improve. I dont give her medication anymore since nothing seemed to help. Your knowledge is very much appreciated. You’re welcome Ami. For your daughter – Stop Milk and ALL Milk Prodcuts. Stop all sour foods and vinegar based foods. Thanks to my father who shared with me concerning this website, this website is genuinely remarkable. Great information! Thanks soooo much!! I am an Arthritis patient. Can I take pommegrante beetroot juice together… plzz advice. Dear Priya, For Arthritis take (Spinach + Parsley + Watercress + Carrot + Radish) Blend / (Celery + Parsley) Blend / Ginger / Neem. Switch to an Alkaline Diet. My husband and I have been blending for 3 weeks and can already feel the benefits! I say blending because it pulverizes everything into a yummy morning burst of energy. There is no waste or pulp remaining. We’ve been combining a variety of things as we start. Currently my favorite is pineapple+celery+carrot+flax seed+coconut oil+pomegranate+wheat grass+lime+kale+cinnamon. Is there any harm in combining this combination? Hi Colleen, I don’t see any harm in your combination, except that it is complex and will take more time to digest. Blend Away! I want learn how to make vegetables drink. Thank You. Please read the chapter ‘Blending’ in the book on the homepage of this webaite. Please do the Parsley Leaves Kidney Cleanse given in the ‘Cleanse Therapy’ chapter in the book on the homepage of this website. Please ginger for the migraine, do you mean ginger juice? Fine slices of ginger can be added to your fruit / vegetable blend, or even the juice of ginger or even ginger tea made by boiling pieces of ginger. I cant smell. What mixture of vegetable juice do you recommend? Sorry, I don’t have a juice for that condition. Try stopping Milk and ALL milk products. Suggest good vegetable for nervous strength. Eat more carrots, cucumber, coriander leaves, and onions or blend a couple of them into a juice. Thank you very much sir for your information that you share with us. Please recommend better juice that inhibits excess 5-alpha reductase enzyme that brings excess dihydrotestosterone in a body. Hi Allank, sorry but I so don’t know what juice will help with that. Am soo happy for this information. but sir it hard for me to take in garlic, yet i want to burn my body fat, what other suggestions can u give me pls? Stop all soft drinks and stop eating anything that has sugar. Stop Milk and ALL milk products. Reduce your intake of complex carbs like wheat & rice products. Eat more fruits & vegetables. Exercize regularly. Read my book completely. It’s on the home page of this website. Is eating caus caus quinoe an alternative for wheat . coz i do feel hungry with a diet without wheat. Dear Seema, Couscous is low in Gluten, but it still has some gluten, so better alternatives are millet (nachni / raagi / bajra), buckwheat, quinoa, sorghum (jowar), flax, amaranth (chauli / rajgira / ramdana), corn and tapioca. Yes Quinoa is also good. I am 38 and m not getting periods since about a year. Initially i was put on cyclical medicines. But now doc advised not to take anything and leave it to itself. Have got hypo thyroid since 2 years and also put on about 8 kgs. Now taking allopathy for thyroid. How do i go about ensuring getting back my cycle as well as weight loss. Dieting doesnt help. Have sterted yoga since a month.